Delusions of... Everything: Party Recap - The Food! I want the snickerdoodle recipe!!!! Wow! Those Best Christmas Cookies Ever look good! Wow! I believe I just gained 7 pounds just looking at the yummy stuff! Looks like a great time with great food! Are those Russian Tea Cakes or Mexican Wedding cakes witht he ground walnuts and the butter and the powdered sugar? I love those things! MY cookie du jour is the Almond Crescent. J calls them Moon Cookies. They're delicious! Yummo! I haven't done any baking yet. Too much going on! 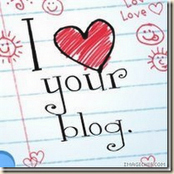 since i've been off line for a while, you went and changed your blog!!! totally threw me off guard! !